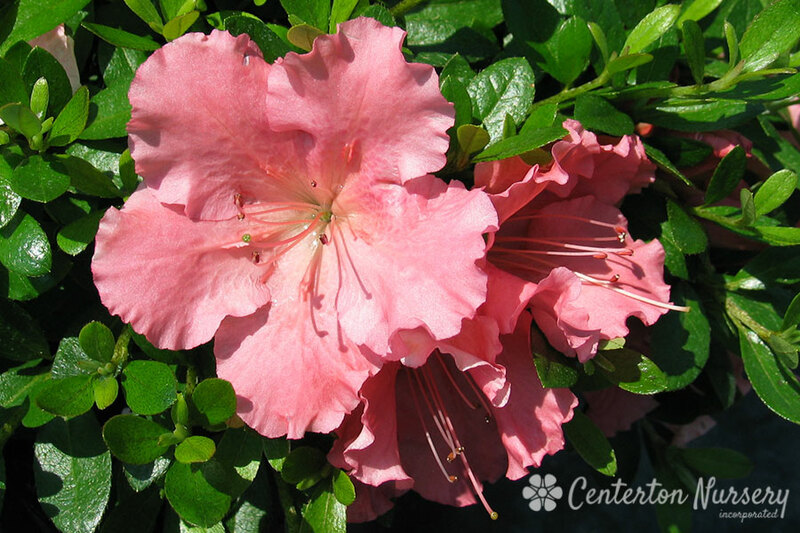 Large 3" coral pink flowers over bright green foliage, late bloomer, slow growing, super dwarf and dense habit. Spring/Summer Care: No pruning necessary. Shape only if desired (within 30 days after flowering). Do not fertilize past June.